NOCS’ Apple-friendly NS200 earphones blend in perfectly with any iPod or iPhone, but provide a somewhat quirky listening experience that’s not suited to everyone. 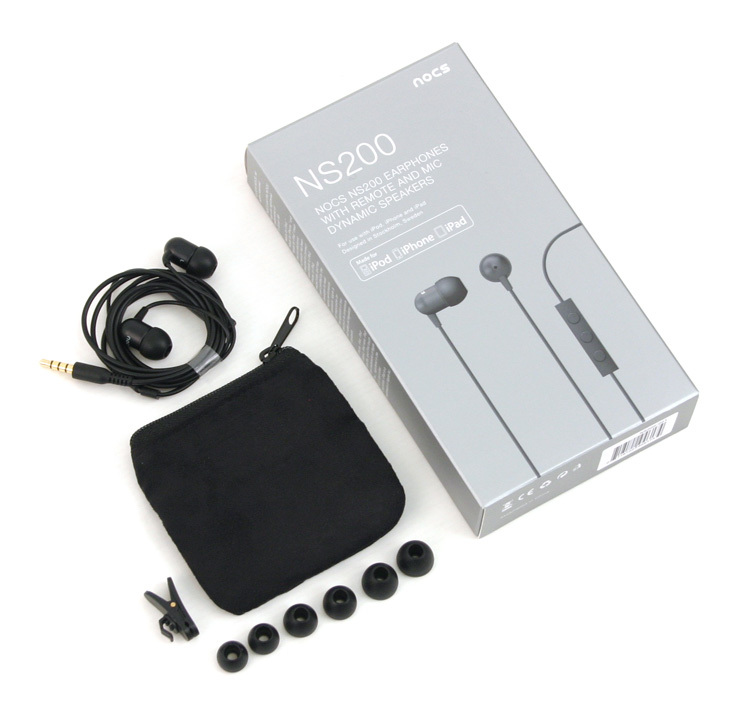 NOCS, a headphone manufacturer based in Sweden, targets the minimalistic Apple fan with its NS200 earphones. The NS200’s are designed to be used with Apple iPhones and iPods, and feature an in-line microphone for answering phone calls, and controls for adjusting the volume and track you are listening to. 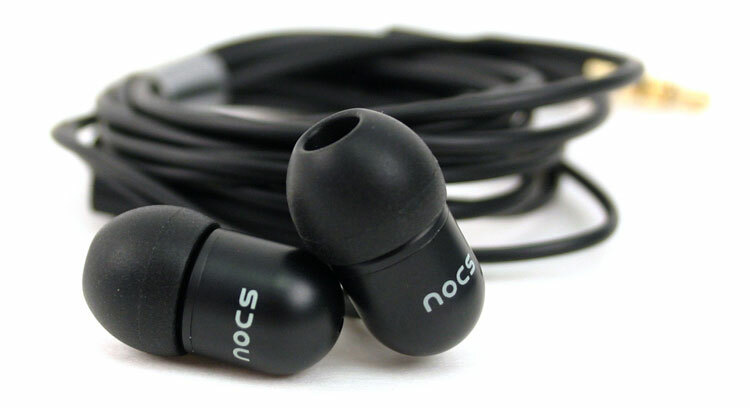 NOCS currently sells four different headphones, with three of them consisting of the in-ear canal design: the NS200, NS600 and the NS800. The NS200, priced at around $60 to $70, are designed to provide a warm and rich sound with an emphasis on bass. Currently, it appears that you can only purchase them in Sweden, although we would not be surprised to see them found in Apple stores as they do have Apple’s stamp of approval. The NS200’s come packaged with a carrying pouch, four ear tips so you get the correct fit, a cord clip to minimize cord noise and a two-year warranty (which is pretty extraordinary for earphones in this price range). It’s clear at first glance that NOCS is mainly targeting the Apple crowd with their sharp, minimalistic design. From the product packaging, which consists of clean lines and accessories nestled in white packaging, to the labelless three-button in-line control and aluminum driver enclosures, they were designed to mate with Apple products. You can even purchase these in white to match your iPod if you want to. The included accessories are nothing to write home about, and seem pretty standard. In contrast, Jays another Swedish headphone manufacturer, gives you five total ear tips, a nice hard carrying case, headphone splitter and airline adapter – all for about the same price as the NOCS. The NS200’s feature an 8.6mm “dynamic” driver, a 95dB sensitivity rating and a frequency response of 20Hz to 20KHz, which is pretty standard these days. As mentioned, the driver enclosure of the NS200’s is made out of aluminum and contains a port in the rear. We tested the NS200’s using an Apple iPhone 4, iPod nano, and Apple iMac 27-inch computer. Music in our tests included: The Faint’s Wet from Birth, Royksopp’s Melody A.M., Beck’s Modern Guilt, and The Whitest Boy Alive’s Dreams. 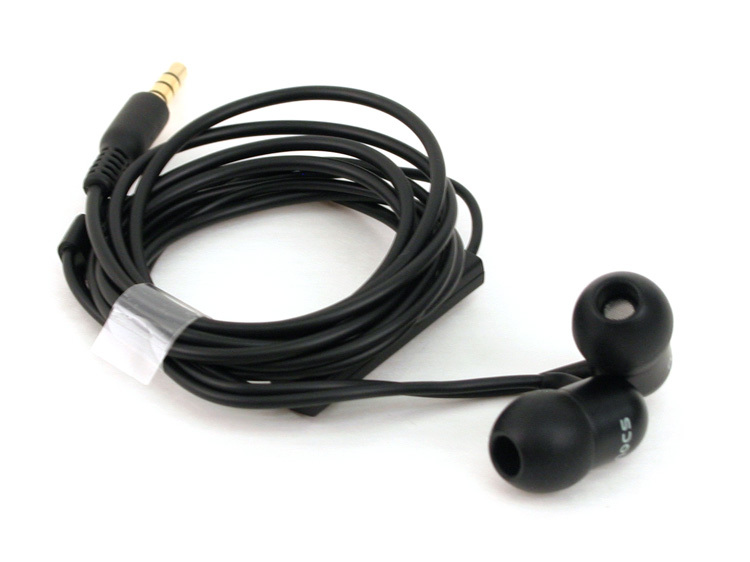 We also broke in the NS200’s for more than 20 hours, which is definitely recommended for these earphones. Their sound color changes for the better after the stiff drivers are broken in. Before we get into our sound tests, it’s worth pointing out that while the NS200’s are canal phones and should provide a nice snug fit in the ear canal, we did experience outside noise leakage in our tests regardless of which sleeves we used. This is attributed to the shallow depth of the enclosure – it simply does not push the driver as deep into the canal as it probably should. Pushing them in with your finger will give you an idea of what they could sound like. Holding them side-by-side to the Thinksound ts02+’s shows that the NS200’s are a full quarter-inch shorter. With that being said, we do feel like the NS200’s provide a nice tight and crisp sound. Highs are flat with very little tint, while the midrange provides the warmth you would expect. Bass is a tricky beast with the NS200’s, however. There seems to be a considerable gap missing between where the mid-range ends and the bass begins. It’s as if the bass doesn’t kick in until it hits a lower frequency than it should, but when the bass does kick in, you can definitely feel it. The bass is nice, tight and controlled without any sloppiness. The soundstage on the NS200’s sits a little further back than say the Thinksounds or the Jays aJays, for example. It’s not a negative, but would need to be a preference for a particular listener. The in-line controls work as described, and we did not experience any issues with operation. We like that NOCS added three buttons, two for volume, and the middle one to control the music. In our phone tests, everyone we called said we sounded clear and were easy to hear through the in-line microphone. After prolonged use, we experienced little to no ear fatigue, although we prefer the soft clear tips that come with the Thinksound earphones. The NOCS NS200 earphones cater to a particular type of listener, those who prefer a nice, tight environment where bass is not overwhelming, but deep and present when needed. 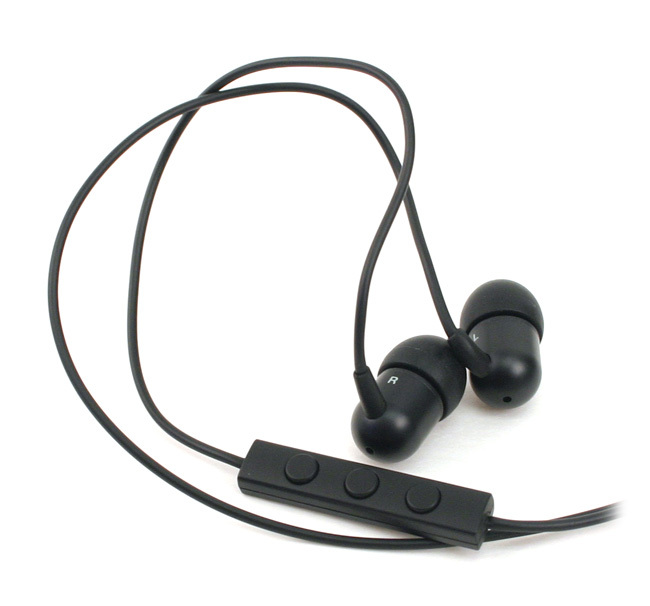 The NS200’s are not the best-sounding earphones we have listened to in this price range, but if you were deserted on an island with these and the upgraded Apple earbuds, we would definitely go with these. The inline microphone, controls and iPhone compatibility are a nice touch, but if you are willing to deal with a little control frustration, we would recommend the Thinksound ts02+ earphones, which we think sound better. Otherwise, if you absolutely do not need the phone controls, we would definitely recommend the Jays a-Jays series, which are among our favorites.